When kids go off to college they always enjoy care packages, especially when studying abroad for a year. My niece Aleena is at Leeds in England for the year. 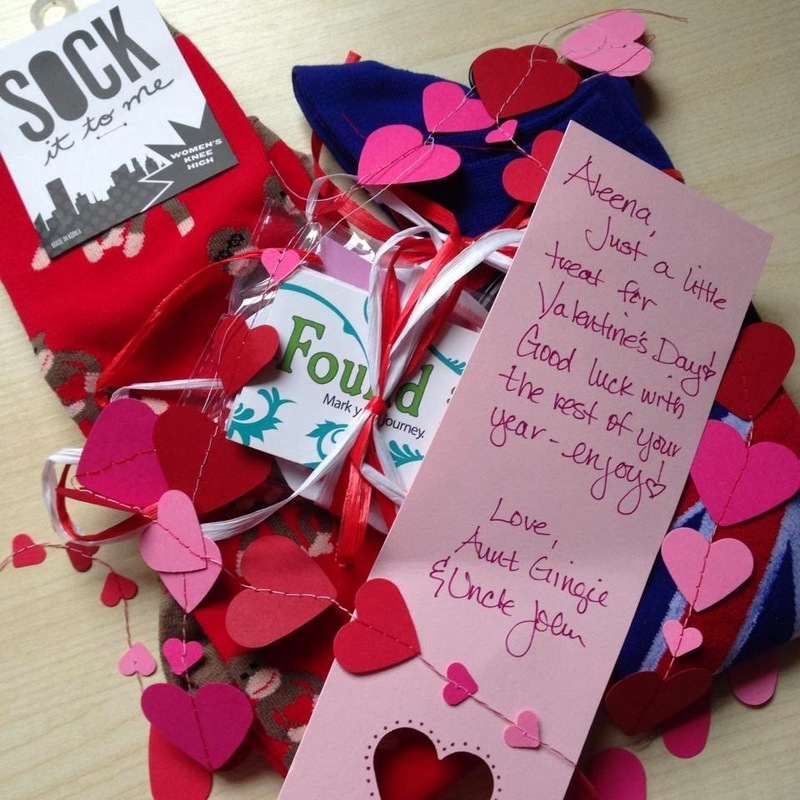 For Valentine&apos;s Day I sent her a package with fun socks from Miss Ruth&apos;s Time Bomb in Carlisle along with some stick it notes, including ones I had in my drawer from the Cumberland Valley Visitors Bureau. She posted this picture on Facebook to thank me for her care package and was surprised to see the "Found It" notes right in the middle. My niece Aleena wasn&apos;t the only one to receive Valentine&apos;s Day packages. I also sent out a few packages with great scarves from the clothesVine and a vintage clear acrylic purse from Miss Ruth&apos;s Time Bomb. It may be the middle of winter but there are still great things to FIND in Carlisle, the heart of Cumberland Valley!